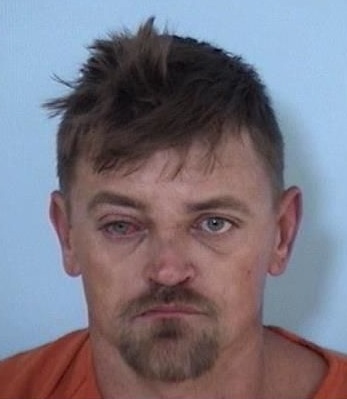 DeFuniak Springs, Fla— A brawl ensues after a homeowner catches a burglar stealing tools from his porch. Johnnie Gilland, 38, is in custody following an investigation into the Wednesday morning incident. At 6am a homeowner living in the 12000 block Highway 90 in DeFuniak Springs confronted a white male stealing tools from a covered and enclosed back porch. A fight erupted and the victim was able to strike the suspect several times causing him to bleed. During the fight the suspect, later identified as Gilland, brandished a knife and threatened the victim. Gilland was able to flee from the residence. Walton County Sheriff’s deputies and investigators responded and discovered a set of footprints and bicycle tracks located at the victim’s residence. The victim advised Gilland had been seen riding his bike in the area over the last few weeks. While canvassing the area deputies observed Gilland driving a black Mazda truck at a high rate of speed. Deputies made contact with Gilland who was visible shaking. Gilland voluntarily agreed to show investigators his bike at his home on Osage Road. After further investigation Gilland’s bike matched the tire impressions at the victim’s home. Also located on the bike was fresh blood on the center support and seat. The bike was collected for evidence. Just inside the door of Gilland’s residence investigators located a pair of boots with matching markings to the prints at the burglarized house. Gilland also agreed to show investigators his knife. While speaking with Gilland his right eye was bloodshot and it appeared as though the eyebrow was swelling. Some bruising was noticed on his right eyelid. When asked about the injury Gilland denied anything happened. Gilland was subsequently arrested for armed burglary of an occupied dwelling, aggravated assault with a deadly weapon, and grand theft. 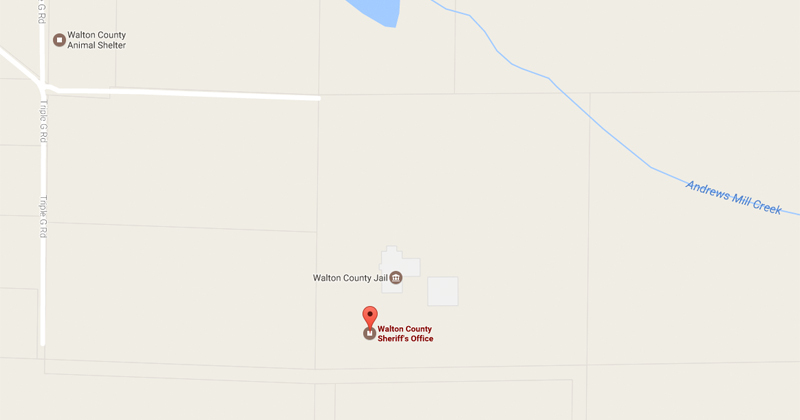 He was transported and booked into the Walton County Jail.